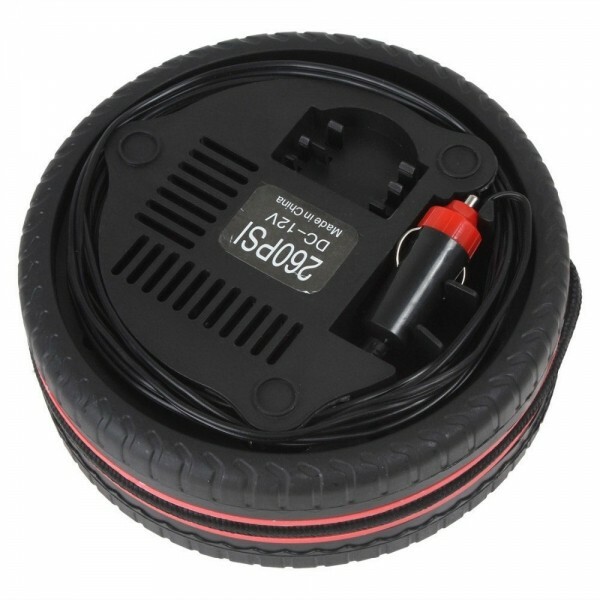 260PSI Auto Car Electric Tire Inflator Pump Air Pressure Gauge Compressor 12V has a small electric motor that compresses the air into a cylinder tank. 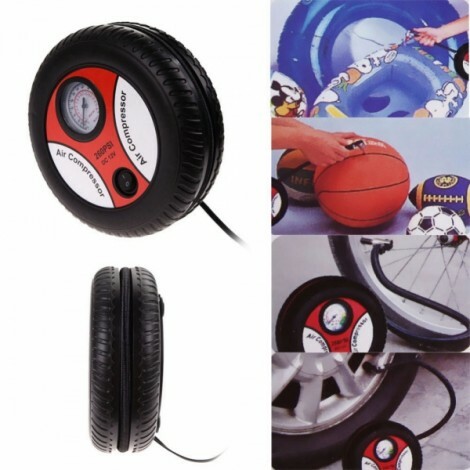 It can be used to air up auto or bicycle tires, sports balls, airbeds and inflatable toys. Built-in pressure gauge lets you check tire pressure at any time. And it plugs to a 12V car system for on-the-go repairs or inflation. 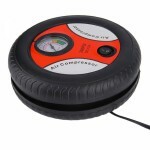 Compact design wont take up too much space and easily fits to the trunk of your car. Tough plastic construction is durable for long-lasting use. Click and order now! 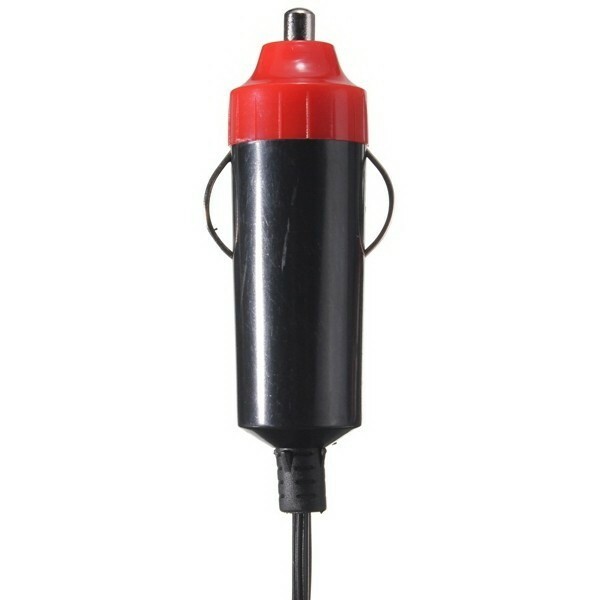 ?Take out the cigarette plug, insert to the car cigarette lighter. 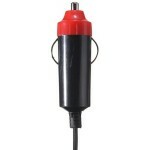 ?Open the air pump switch and plug the air tap in tire valves directly. 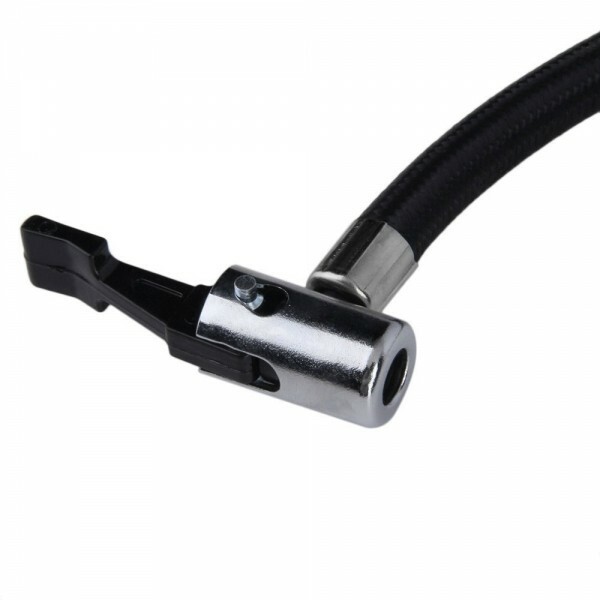 It means air flows after hearing the sound of the air emission by tires, at this time can tight the air tap and then inflate, the air wont leak. 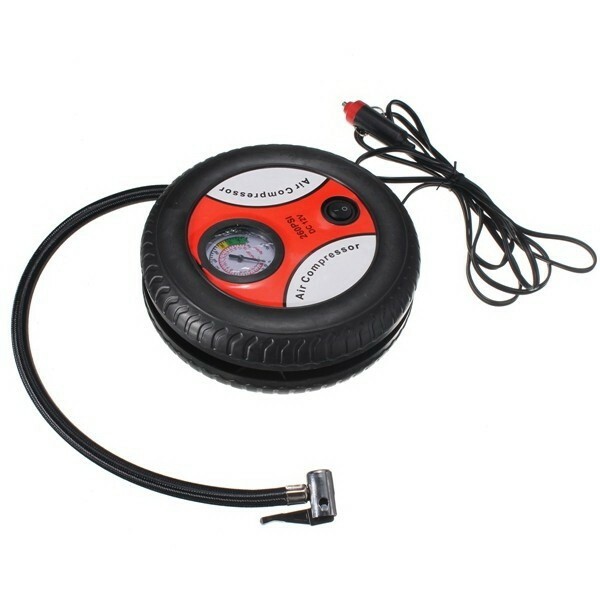 ?The instrument pointer will rise according to the tire saturation level. 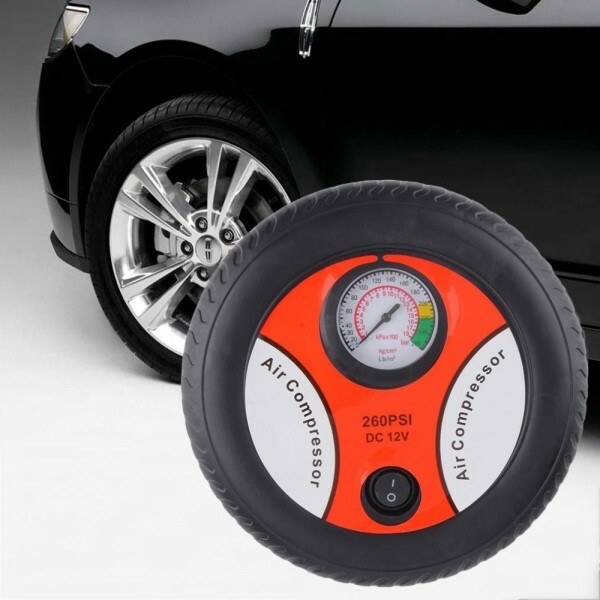 When reaches the proper tire pressure (normally is 223kpa=35PSI), remove the plug and air tap and inflate complete.